Make the water and sugar boil together for about 2-3 minutes, then leave the syrup aside to cool. Peel the peaches, remove the cores and mix the fruit pulp in a blender to homogenize. Then add the cooled syrup into the mashed peaches mixture, stir with a spoon, then add the champagne and the rum. Leave the granita in the freezer for at least 6 hours. Meanwhile, mix it 2 or 3 times to look like having pieces of finely crushed ice in it. 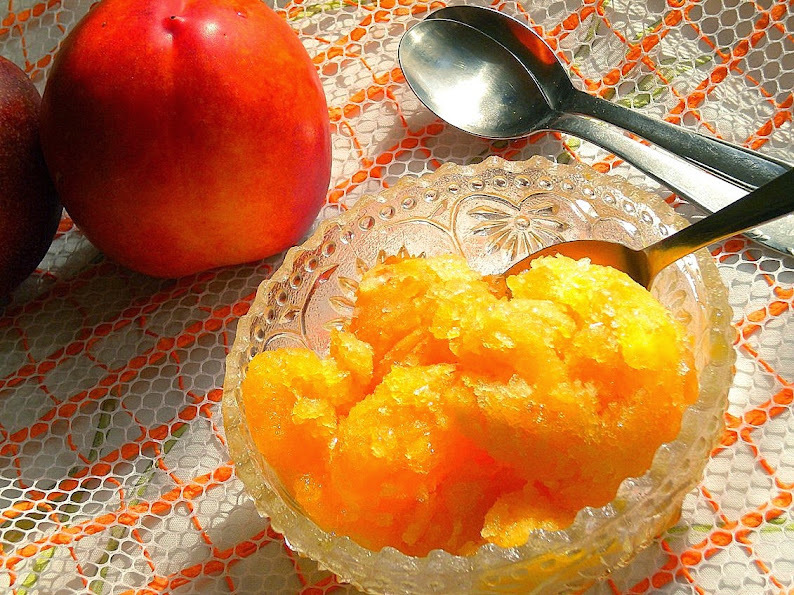 If granita is served by children, replace alcoholic drinks with orange or peach juice. Thank you, Ramo, for visiting my blog! Indeed, and very tasty too!